Violent crime prosecutors do difficult and important work. 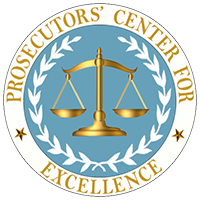 In October 2017, fifteen seasoned violent-crime prosecutors spent a day and a half sharing their ideas about how to improve the investigation of violent crimes at a meeting sponsored by the Bureau of Justice Assistance of the U.S. Department of Justice. Though the group had much in common, it was quickly apparent that there are a variety of approaches to their work. Some of the differences are rooted in statutory obligations, while others are based on limitations of funding or staffing. This paper provides an overview of the issues discussed, along with representative descriptions of the approaches and challenges faced by the jurisdictions at the meeting. The examples are illustrative; they can vary with the circumstances and do not include the approach of each participant’s office. The goal of this paper is to prompt further thought and discussion.